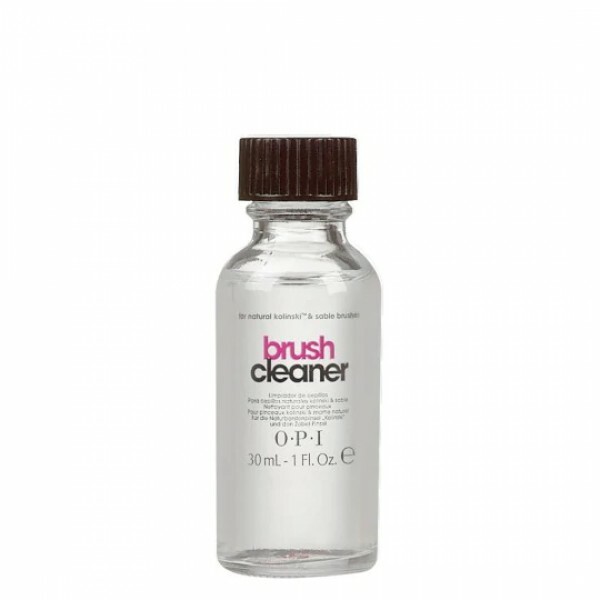 OPI Brush Cleaner conditions and removes contaminants from natural Kolinski and Sable brushes. Use between sets without causing enhancement yellowing. Preserves the natural luster and extends the life of natural brush bristles.